Our son attended a training capsule regarding social service, especially dealing with the old and infirm. He showed me a pamphlet and it described how the old and the infirm need to be looked after and it concludes by saying that its more important to serve a person than looking for their disabilities. This is a lesson to be taught to the coming generations. Amir Khan through his TV Program ‘Sathyameva Jayathe’ tried his best to portray the struggles of the differently-abled in India. Did you observe that the stage from where he was preaching all these was not wheel-chair accessible? There was no ramp – I am sure it would not have cost them much compared to the money the program generated. Another TV presentation of a retirement home shown on a Malayalm channel, it was observed that the houses in the retirement home neither had a ramp nor were wheel-chair accessible. An old lady was shown climbing the steps with the support of a walker assisted by a girl. Many buildings in India are not wheel-chair accessible; why even that; many of the Indian homes with old people are not differently-abled-friendly. Our own ancestral home; where my 82 year old mother lives, does not have a ramp for entry from the courtyard into the house. She suffers from arthritis and finds it extremely difficult to step in and out of the house. During trip home in 2013, I had to take my mother to the Government Treasury, Kottayam, the City of Letters, to muster her pension roll. There were two options, one to drop her by car at the lower level and make her climb 14 steps, the other, to drop her by car at the upper level and make her walk 200 meters. After consulting my mother, I opted for the first option. The powers that be at Kottayam are well aware that most of the pensioners are old and infirm and to make the place for mustering be made easily accessible to them would not have been very difficult. Indian public transport buses are the least differently-abled-friendly. One in the best of health needs some effort to board these buses. Many a times, the conductor/ cleaner would push the old and differently-abled into the bus; could be the next bus is close at his heels and does not want to get delayed. Many of the seniors in India are restricted to their homes – we respect them too much to be send out for a haircut, for manicure or pedicure, for drinking coffee from the nearby coffee shop, buying vegetables, haggling with the vendors etc. We claim that the children are there to do these for them. Wait a minute, they also have their feelings too and would love to feel the tomatoes they buy, haggle with vendors to save a few rupees, exchange a few gossip, look pretty and smart. In most homes in India, the seniors are confined to a corner of a house and have limited movement or accessibility. To say the least, many are swept under the carpet/ bed. Now days a home nurse is provided to take care of them. Some of our friends here in Canada want to admit their old parents to the available old-age homes. This involves paying a hefty amount as admission fees and monthly payments, which will surprise many. Even though one is ready to pay these, many fear for the social and family stigma that the son has pushed the old parents into an old-age home and is enjoying in Canada/America. All these critics will never do anything to mitigate the problem of the seniors, but will be the first ones to raise shackles of family and social values. During the three week vacation in India, I realised that there is no one at home on weekdays as the adults go to work and children to schools. Spending time was the most difficult as there is none to talk to. Only way to pass time was to see those TV serials or listen to music. There is no worthwhile bookstall in Kottayam which sells English novels – most available were old – which I had read before. Then I realised the plight of my mother and I saw that she had read the day’s newspaper from first to last page and had seen four serials by the time the grandchildren were back from school. 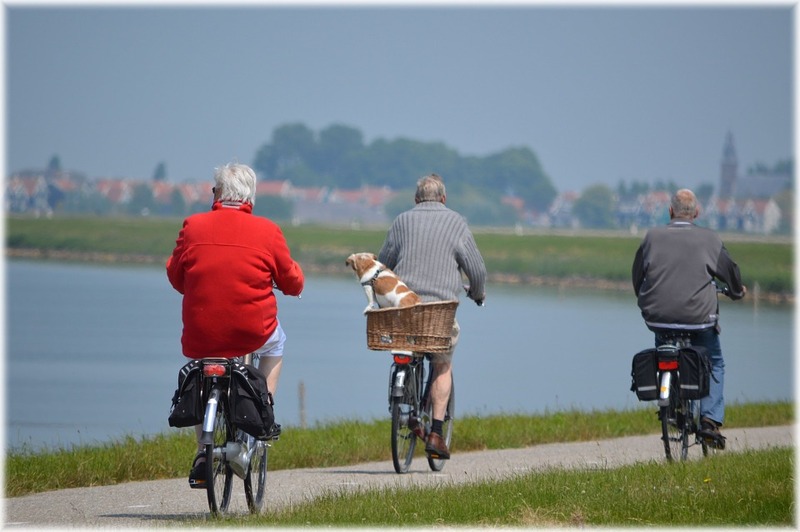 There are no activities available for the seniors to indulge in and the infrastructure does not permit them to travel around. I generally do my chores like groceries, go for a haircut, go to bank etc on weekday mornings – less busy in the Canadian Malls at this time. One sees old couples, dressed in their best, enjoying a cup of tea/coffee, window shopping, talking to other seniors, etc. Some of these seniors are wheel-chair bound. Most of the wheel-chairs are battery powered so that they can move around freely through the Malls. In case you go for a haircut on a weekday morning, you will find only seniors, waiting for a haircut, a new hair-makeover, pedicure, manicure etc. They would be non-stop chatting with their hair-dresser /beautician about their last outing for a movie, holiday, their dog, their children, grandchildren, and the list goes on. The hair-dresser would be listening, nodding, at times replying to all those small talk. May be the seniors did spend some time, may be his/ her day was spend very fruitfully. At the end of it, the hairdresser/ beautician gets a decent tip, for putting up with all the small talk the seniors did. In India if a senior lady goes to a hair dresser or a spa, she is surely bound to invite comments that the lady is now trying to become a beauty queen. The irony is that many a times these comments originate from their own children and grand children. We live in Mississauga, a city adjacent to Toronto. 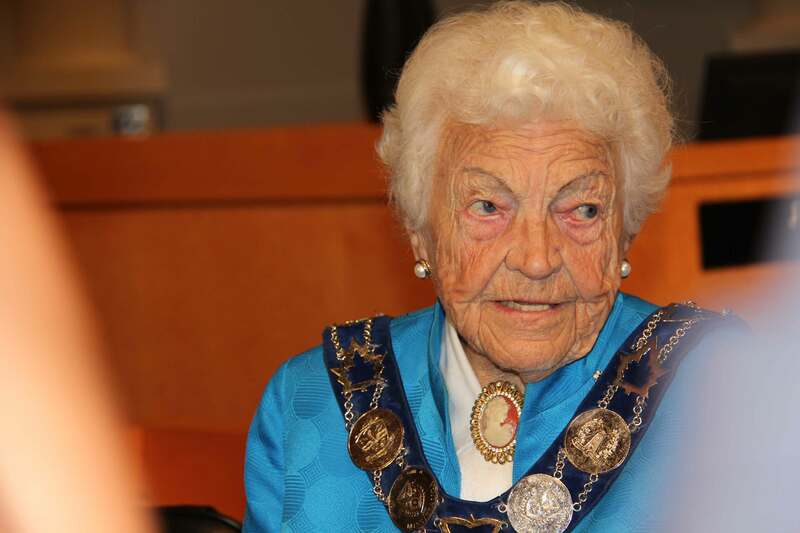 We had Mayor Hazel McCallion until 2014 and she was was over 92 years old then. To read more about her, Please Click Here. A real charismatic lady, who ran the city with an iron hand, drove around in her car etc. Mississauga is the only city in Canada to have a surplus budget and the city boasts of a very high standard of amenities, social life and infrastructure. Obviously, the real-estate prices are pretty high in comparison to the neighbouring cities. I heard her speaking at our daughter’s High School Graduation in 2010; what a powerful speaker she is. I wish we also had such powerful seniors back home too. The public transit in Canada, the public buildings, the malls – all got to be wheelchair accessible by law. Further the Senior Citizens get a good discount on many City Transit systems. Many cannot drive or their licenses have been cancelled by the Transport Department due to their medical conditions. These seniors travel on their own without any assistance and do most of their chores on their own. In India we will always claim that we are there for them. It is high time that the Indian government pass laws to make all buildings – at least the new ones being built differently-abled-friendly. In India the whole system to be changed. The roads are not suitable for the wheel chair. There is no way a wheel chair can go in to a bus / train. So no one use the wheel chair. So Ramps become a irrelevant. In India everyone is specialized in criticizing others for every possible opportunity they get. This habit is not going to change. The mind set of the old people is to stay with the children even though they are not treated properly, under the pretext of “Love” – the most misused word by religious clergies. Love yourselves first, then others ( All prophets had done this meticulously) We are not bold enough to say this loudly. I agree with the observations. My son Srinivas was introduced to a NGO “Able the Disabled” run by ‘Leonard Cheshire International’ and devotedly serving the blind. I adore your article. Although very much an Indian living abroad for over 3 decades should totally admit to the lack of facilities provided to aged people back home. I hope we will improve in the coming period. Necessities should take us in the fast lane with regard to this aspect. We are improving but a long way to go…..
A well articulated and timely article Reji. Very well written! Reji. With increased life span India has to look seriously into this issue. This topic could be covered in schools and we need to educate our youth as they are the ones who can do something about it. we have a long way to go!!!!!!!!! Hi Reji, Well written as always. The lack of facilities of senior citizens in Kerala that you described is true. Leave alone ramps & lifts for them at public places, we do not even have adequate number of low floor buses. The State, society & families need to change their attitude towards senior citizens. The saving grace is that unlike in west, we still have a majority of senior citizens being looked after at home by the family members. Very few are sent to old age homes. The need for improving our public amenities to cater to differently-abled has been well articulated. With a continued upward trend in life expectancy , we can expect a larger percentage of our population requiring special attention. Our town planners and administrators need to constantly improve the facilities accordingly and make our senior citizens less dependent on others.